The first NTT IndyCar Series race at Circuit of the Americas ended up being an eventful one for Ed Carpenter Racing’s two-car team. 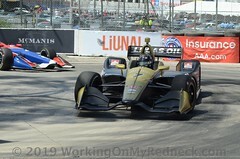 A lucky break with the timing of the day’s only yellow flag helped Spencer Pigot make up most of the positions he had lost in the pit lane after another competitor was sent out in front of him. 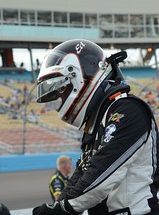 Ed Jones, on a black tire compound that would have been beneficial had the race had stayed green, lost several positions on the ensuing restart to drivers on red tires. Pigot would finish 11th while Jones would take the checkered flag in 14th. The pair of ECR drivers were caught out by identical red flag situations in different groups during yesterday’s qualifications. 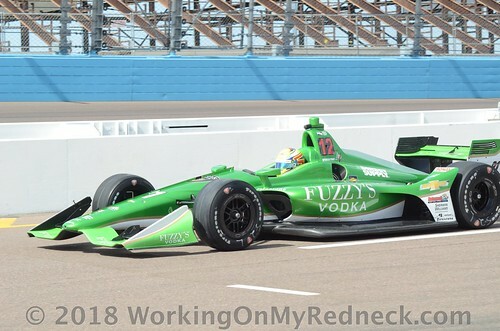 While Jones and Pigot were on flying laps which had them tracking to advance to the second round of qualifying, other competitors slid off course in the same turn and brought out red flags in both Group 1 and Group 2. With their quick laps invalidated, Jones had to start today’s INDYCAR Classic from the 18th position while Pigot was one row behind in 19th. Both selected Firestone’s primary black Firehawks for their first stint with the goal of completing the race on the alternate red Firehawks. The two swapped positions at the start, with Pigot settling into 16th and Jones in 17th before the first round of pit stops began. Pigot was the first of the ECR cars to dive into the pit lane for a set of sticker reds, coming in on Lap 7. Jones brought the No. 20 Ed Carpenter Racing Scuderia Corsa Chevrolet in two laps later, also choosing sticker reds for his second stint. Once Pigot had a set of reds underneath him, he began to carve his way through the field. Just seven laps after he made his first pit stop, he had worked his way up to 12th after exiting the pits in 21st. 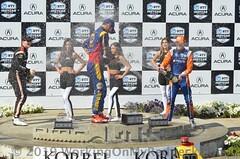 Jones settled into 18th, also the position he would stay in until the next round of stops began. Pigot was the first of the two to pit again, bringing the No. 21 Autogeek Chevrolet in on Lap 24. 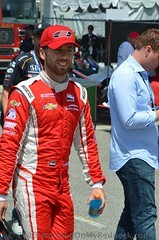 Jones was in the following lap, both receiving a set of scuffed reds. 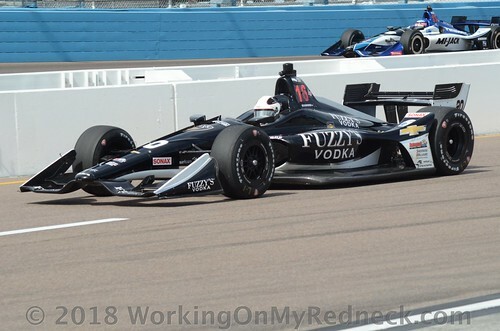 Pigot engaged in a spirited battle with Graham Rahal and Scott Dixon but with over half of the race left to go, he settled back into 12th and worked on hitting his fuel number. Jones was able to make up a position, enabling him to run 17th for the remainder of the stint. On Lap 42, Pigot was heading to his pit box for his final stop of the race. The No. 7 car of Marcus Ericsson was released directly in front of Pigot, causing Pigot to miss his box. There was no damage to the No. 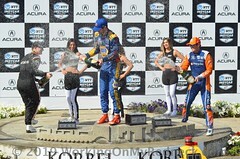 21, but the lengthy time in the pit lane cost him eight positions. Once he rejoined the field, he had fallen to 18th. After weighing the options, the No. 20 selected a set of black tires for the final stint as it seemed they would be more beneficial for overtaking. Just after Jones left the pit lane, the only full-course caution of the day came out. Since both the No. 20 and No. 21 had already made their final pit stops, Jones and Pigot were able to cycle forward as the leaders stopped. The No. 7 received a penalty for the unsafe release in front of Pigot, moving the Autogeek drivers up another position. For the Lap 80 restart, Jones took the green flag from 8th and Pigot from 11th. Jones’s selection of black tires was in anticipation of the race staying green. On the restart, he was passed by two cars on reds and found himself directly in front of his teammate. Also on red tires, Pigot was able to get around Jones with five laps remaining. Two more cars overtook Jones in the closing laps, dropping him to his finishing position of 14th. Pigot took the checkered flag in 11th for the second race in a row. Ed Carpenter Racing will be on track next at Barber Motorsports Park for the third round of the NTT IndyCar Series season. 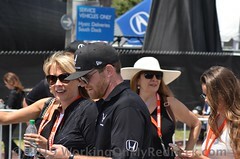 On-track activity for the Honda Indy Grand Prix of Alabama will take place April 5 – April 7, 2019. The race will be broadcast live on NBC Sports Network beginning at 4 p.m. ET on Sunday, April 7.